The front page of your website is where people are going to look to find important information about your event. Entering information has always been pretty straight forward – Click “Update Text Above” or “Add Content Here” to enter information on the page. After clicking those links, you are presented with a text box where you can easily type in and format the information you want to display on the page. You also have the ability to copy and paste things in from another source such as a word document. 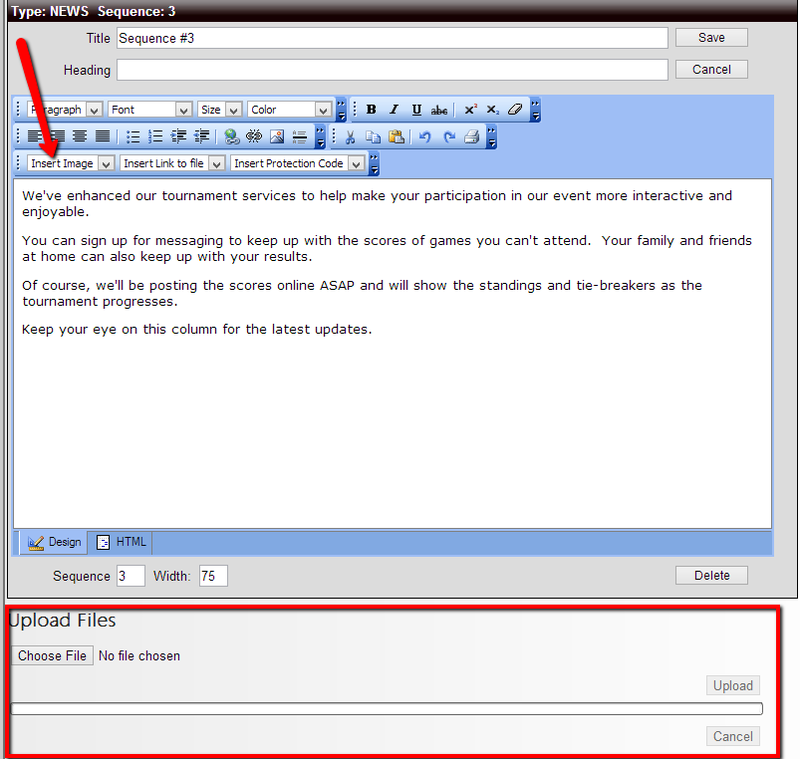 A note of caution: If copying and pasting information from a word document, the formatting might not come across exactly the same and editing it from inside the editor can then give you some troubles since the conversion to html (which is needed to display it on a web site) isn’t always the cleanest. Typing the information directly into the box will always give you the best results and editing it later on is much easier as well. Uploading images & files (such as word or pdf documents) used to be a 2 step process. We’ve streamlined that process so the upload and posting can happen on the same page. Place your cursor in the text box where you want the image to go and then select it from that drop down box. ← Tiebreakers can drive your staff crazy! What is sincSports? It is a suite of packages providing premier services to the sports community at incredibly affordable prices. Each package is so feature-rich that none of its competitors even come close to offering comparable options. Sports In College - The best recruiting site available to College Bound Athletes. 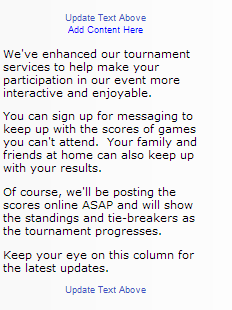 sincTournaments - A full-featured and complete tournament management system. sincLeagues - sincSport's has built upon its industry leading tournament package to create a program with the automated scheduling, distributed club administration, referee administration and scorekeeping requirements unique to league management.